When Jun Sung Ahn filmed his violin cover of “Let It Go” on the Lakefill four years ago, the possibility of frostbite seemed more realistic than viral fame. Ahn (Communication ’15) and his classmate-turned-cameraman Kevin Kim battled the cold to film the video and managed to upload it without losing any fingers. To Ahn’s surprise, it has become his most popular cover on YouTube, garnering more than seven million views. 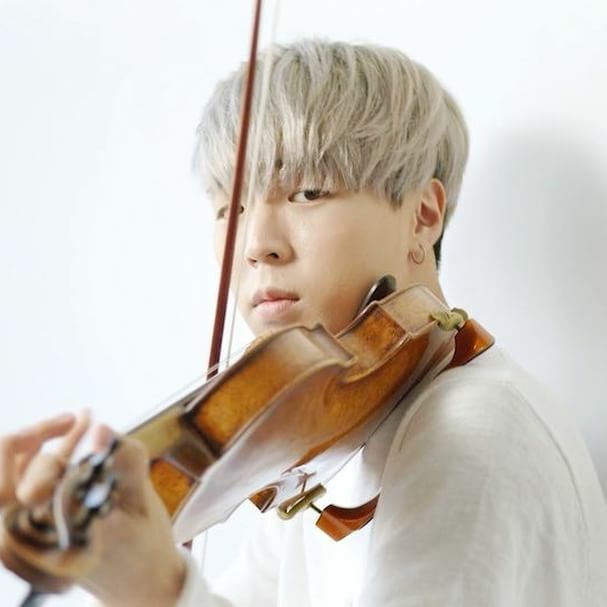 Since then, Ahn — now 24 and living in Los Angeles — has continued to work as a YouTube artist and performer under the pseudonym “JuNCurryAhn.” His channel features almost 140 videos of him covering popular songs on his violin, and he currently has nearly 1.4 million subscribers. Ahn began playing violin in the fifth grade. He received private lessons and participated in music competitions until coming to NU to study in the Radio, Television and Film department. Although he ended his classical violin training, Ahn continued to play as a hobby. He began to dabble with YouTube the summer before college when he uploaded a violin cover of Eminem’s “Lighters” that his friends had requested. When he returned from a vacation, Ahn checked YouTube and was shocked to see the video had 1,000 views. During his freshman year in college, he asked fellow RTVF major Kim (Communication ’15) to film one of his videos. The collaboration, which Ahn calls a “dream team,” or the “JuNCurryAhn express,” has continued to this day. Despite Kim’s help, however, Ahn does not easily relinquish responsibility. He said he tries to be as self-sufficient as possible in the production of his videos, overseeing elements such as concept development, video editing and marketing. Kim recognized Ahn’s independence and film savvy, which he said sets his friend apart from from other YouTube musicians. Ahn said his hobby began to become a career spring quarter of his freshman year. Ahn received an email from an Asian student group at St. Catherine University that offered to fly him to Minnesota to headline an Asian cultural event. Ahn said after that experience, he created a business email address and started booking more shows. He continued to grow his presence when he started working with YouTube managers he met while working as an intern in Los Angeles. Despite his success, Ahn kept a low profile in college. Communication lecturer Clayton Brown said he was surprised to hear that Ahn had such an extensive fan base. Ahn’s violin work is now a full-time job. He plays shows at universities and Korean-pop festivals almost every weekend and said he is completely booked until May. However, Ahn’s YouTube presence dwindled last year. He said after two years of working as a full-time YouTuber, he worried he lost his core reason to perform: playing popular songs he enjoyed. Ahn’s self-doubt came to a head at a K-pop convention in Mexico in April, where he opened for K-pop idols with covers of their songs. Halfway into his first song, Ahn “snapped into it” and had a startling revelation. Ahn said he felt he had lost touch with his artistry and had truly gained the title he despised: a cover artist. At the time of his onstage epiphany, he was also struggling financially, as copyright laws prohibit YouTube musicians from independently monetizing cover videos without approval from the music’s original publisher. Though he was doing well on YouTube numbers-wise, Ahn said he saw a disparity between his views and his financial success. Ahn refers to the following period as his “falling out with YouTube.” However, after months of soul-searching, he bounced back and released his first original song in November. Ahn said he plans to release a few more original singles and has adjusted his perspective on being a cover artist. Ahn said he hopes this new outlook will help him put more value into his work. “Wherever I am 10 years down the road, I hope I am happy doing what I am doing, and that I am doing something that I love to do, and that it is for the right reasons,” Ahn said. Read more stories from the January edition of The Monthly here.